Had this tagged from MummySheng. The most gorgeous mum in the world. child’s photo, if you have one. Of course, they should be wearing red. in your closet that day? blogroll. No cheating heart please. 4. Once you’re tagged, please keep it going - just for this month. 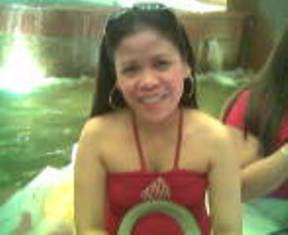 Taken in Kabayan Restaurant in Lucky Plaza Singapore. My favorite top I saw in my closet that day. Taken on Thanksgiving day 2007. I look good in red..
Taken on November 17, 2007 in my "Babe Dako's"
office. T'was cold that day so I decided wearing it. 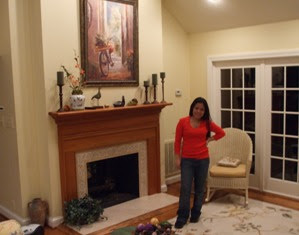 Taken at home on December 15, 2007.
and red is one of my fave color. 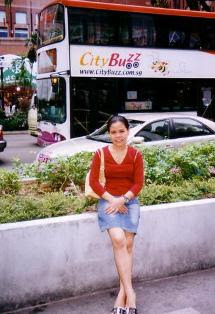 This pic was taken in Singapore. Please grab this tag and show off yourself wearing red color. you do look good in red! thanks for doing this and for being so sweet! you're always welcome Mummy Sheng.